The Sambuca Bona is a blend of soda water, anise, anisette, and extracts of elder flowers. The color of white paper slightly hazy and the aroma and intense flavour, velvety and refreshing , make it a refreshing drink and irresistible. 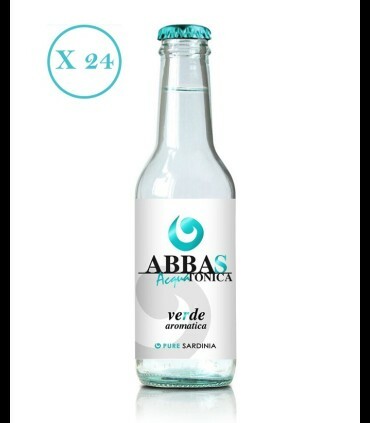 A soft-drink non-alcoholic fresh, smooth and trendy. Excellent for creating the tasty Cocktail Fire and Ice: (1/3) Sambuca Bona, (1/3) Triple Sec, (1/3) Of Brandy. 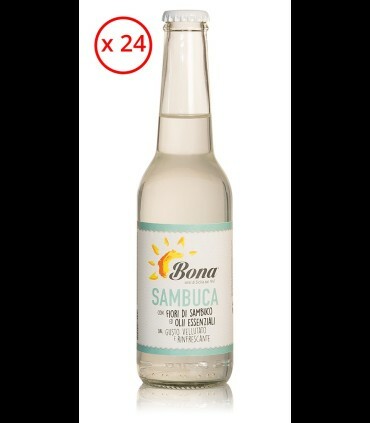 Also the tasty Sambuca Bona with lemon granita, drink fresh and delicious. The company: since the beginning of the 40s he began to produce in Sicily, the first Gaseous, and wanting it, was an enterprising man, John Bona. Immediately after the post-war period the desire to rebuild has increased, and the production activity of the Gas was also extended to other products closely linked to the territory as the Orange, the sweet Soda, and Lemonade... see the card.